Real Estate - Ryan & Wetmore, P.C. Real estate is a constantly changing industry. New developments, improvements, and leasing are subject to the whims of the market and the economy. As a result, it’s essential to partner with an accounting firm that understands the industry issues and challenges faced by management. The ability to translate tax and accounting regulations into opportunity is necessary for today’s fast-paced economy. That’s why real estate companies across Washington DC, Virginia, and Maryland turn to the team at Ryan & Wetmore. Our professionals have years of experience guiding companies through complex tax, accounting, and transactional issues. Looking for a provider with experience in the real estate industry? If so, then contact us today! 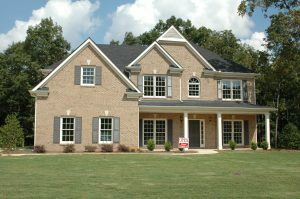 For more information on our real estate services, please contact us at (301) 585-0506, or click here to email us. During a brief consultation, we can assess your needs and determine the best way for us to assist you.